Well the B2B event didn't dissapoint this year! Fantastic turnout (48 competitiors) and great conditions. We had the standard bit of controversy - this time the start, an new race record and 10 people in under 20 mins! I asked new friend Luigi Romano (PWA Slalom) who is in Melbourne for the Summer to go and he gave reigning champion Ian Fox a run for his money beating him to the marker but Ian held onto to his winning streak (10 years in a row) and took it out again in record time. Luigi also managed to get a story and pics published in Funboard, an Italian mag! THE RESULTS - TOP 10!!! The boat I was on was a great opportunity to shoot from a different perspective, thanks Ian and Evan. 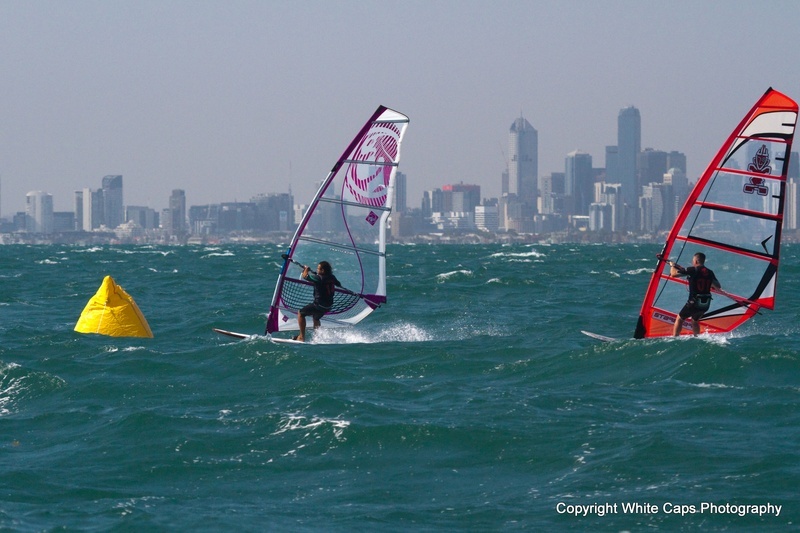 Thanks also to SHQ and Windsurfing Victoria.